389,00 EUR* Not ready for shipping. Reserve today and we will ship as soon as possible. 329,00 EUR* Not ready for shipping. Reserve today and we will ship as soon as possible. 326,05 EUR* Not ready for shipping. Reserve today and we will ship as soon as possible. 299,00 EUR* Not ready for shipping. Reserve today and we will ship as soon as possible. 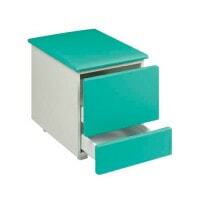 Here you will find roller containers and mobile drawer units that are designed to fit under a desk or examination couch. 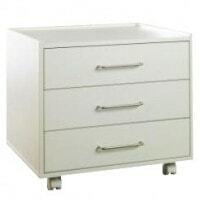 The practical mobile drawer units are available in various configurations, e.g. 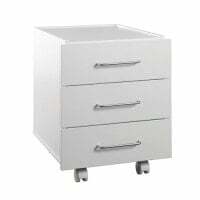 as roller containers with padded seating or as extra-wide roller containers. 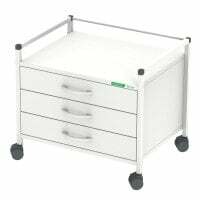 Have a look at the medical office equipment range at Praxisdienst where, besides roller containers, you will also find mobile trolleys, storage trolleys, multipurpose trolleys and instrument trolleys and also examination couches.